So you want to use two shields that share the same pin? 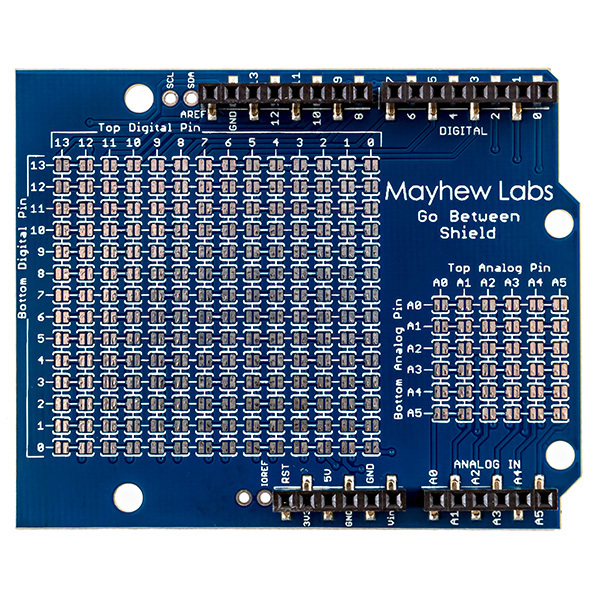 Or maybe you have a shield that occupies, but doesn’t need, a dedicated Arduino pin like PWM or SPI lines? 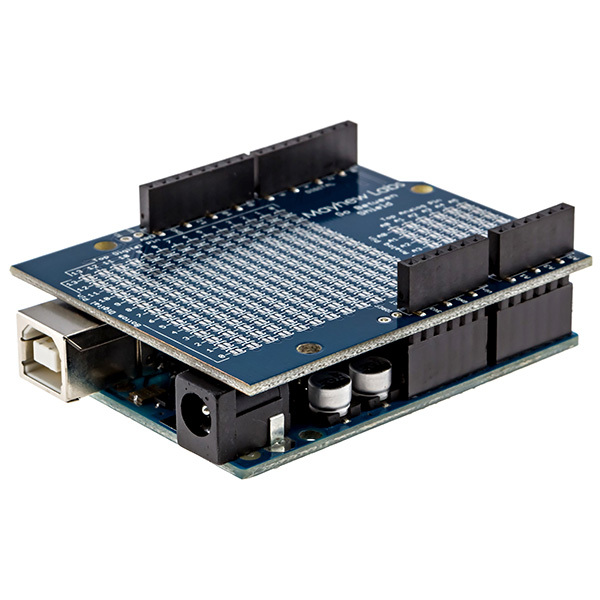 The Go Between Shield ‘goes between’ any two shields or between a shield and Arduino to rewire what pins the shields use on the Arduino. 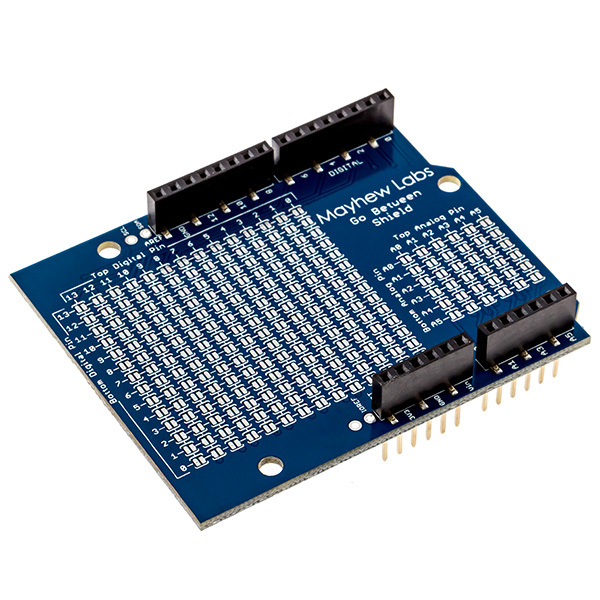 It works by isolating the top and bottom headers with solder jumpers that can be soldered and resoldered for different applications. 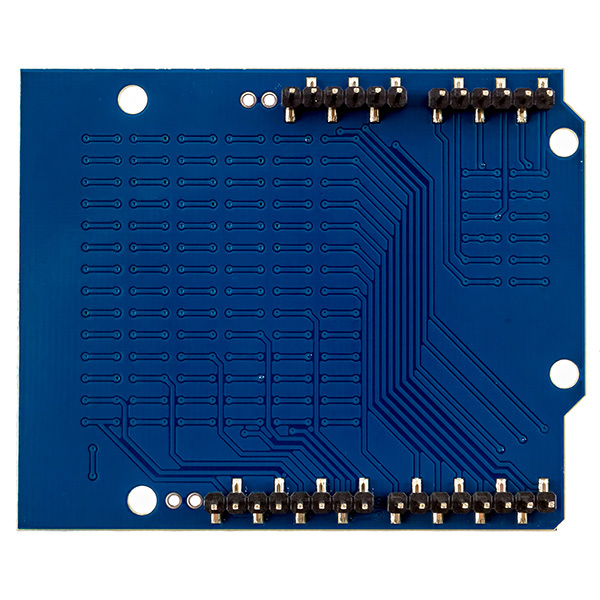 To use the Go Between Shield, put solder jumpers (beads of solder) in the top pin/bottom pin matrix where you want the top side to connect to the bottom side, then change your code to use the new pin. Power, ground, and reset lines all pass through directly. See the User Guide for detailed instructions and an example.